October 2004 was a grim month for pop obsessives and record collectors, especially those who had come of age in the seventies and eighties. In the space of ten days we lost three great navigators of the backroads, byways and ditches: John Peel, Dave Godin - the man who coined the term Northern Soul - and, Stateside, Greg Shaw. Some philanthropist should have corralled their collections and pop ephemera and created one beautiful library. Shaw was, in his way, just as important as Peel. He was a fanboy with means. 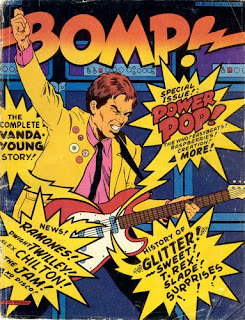 To precis his CV, he created the first pop fanzine (Mojo Navigator, later Who Put The Bomp), put Lester Bangs and Greil Marcus on the printed page for the first time, started the Pebbles compilation series, and was America's premier salesman for Glam, Punk and Powerpop - a genre he named. He created an independent label and distribution company in the seventies - Bomp - giving succour to the Ramones, and a home to Iggy Pop and the Flamin' Groovies. He also knew his parameters. When Michael Stipe showed up with his tape looking for a deal, Shaw sent him away, telling him to go to a major - Bomp wasn't right for him. Who Put The Bomp, even now, is a great source for forgotten 45s (Shaw's format of choice). He would review British pop singles like Warwick's Let's Get The Party Going when they first appeared and were dismissed as worthless bubblegum by pretty much everyone else - the Warwick single wouldn't be revisited until the late nineties Junk Shop Glam boom, but Shaw's recommendation was enough for me to pick one up when I saw it. His publications have since been compiled in a hardback by ex-wife Suzy Shaw. When Mojo Navigator first appeared in 1966, pop nerds barely existed, and the ones that did were most likely unaware of each other. 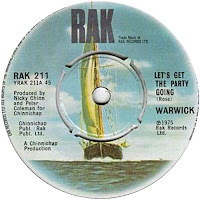 Likewise, rock 'n' roll record collecting rarely stretched beyond buying records to play at parties, after having first scrawled your name on the sleeve and label to make sure they also came home with you. Mojo Navigator was *the* first music rag by fans, for fans. Shaw was a cheerleader, not a chinstroker, and would always value the directness of Wild Thing or You Really Got Me over, say, the Grateful Dead. Time, it's safe to say, proved him correct. Greil Marcus says that Shaw put on paper "the irreducible thrill of hearing the secret before everybody else did, and the irresistible thrill of passing it on." Still, Greg Shaw was no saint. Bomp's accounting system, for starters, was a little wayward. Suzy Shaw remembers one of the Dead Kennedys handcuffing himself to Greg's desk to get a check - it bounced. Another time their car was smashed to bits. There were threats of arson, after which a baseball bat was bought for the office. Asked to contribute to the book, Kim Fowley said "I'm not going to glorify Greg Shaw because he was a thief and a pig in regards to paying me money. I always liked the idea of BOMP and the idea of Greg Shaw; he was a great historian but a bad executive and a disaster in accounting to his artists and producers." While Greg's record collection was rumoured to number a million items, Suzy reckons "I knew the size well, as it was I who had the shelves built for them and arranged for the space in the warehouse. There were probably a maximum of about 150,000. He often just wanted the record and had no particular interest in whether it could be played or not." Taking up almost as much room was an index card system that listed "every rock record that he owned, heard about, or suspected existed. He was a historian first and foremost, and wanted it to be a life's work that would survive as a reference for generations to come. It was his obsession and although few people know it, the project probably took up more of his life than any other venture in terms of sheer hours." Shaw was an outrageous womanizer, with four marriages and innumerable girlfriends. Pretty soon, each starry-eyed lover realised they were no match for the index cards - most of them came to the conclusion that if they could get rid of the cards, they could have Greg all to themselves. The one constant was Suzy Shaw: "I became accustomed to the frantic, late-night calls from Greg: "Help! Suzy! Get over here, she's got matches and she's going for the cards!" Police would be called, tears would be shed, the girlfriends would leave, but the cards survived." It's a minor tragedy that the digital age has rendered them little more than a curio. Beyond the printed word, he was behind the Legendary Masters series of compilations, produced during a stint at United Artists - Shaw was as conversant in Fats Domino and Ricky Nelson as he was in Ramones and Raspberries. Then in the early eighties he was the secret compiler of the multi-volume Pebbles series, sonically imperfect bootlegs of obscure 60s garage punk which unearthed now-open secrets like the Litter's Action Woman for the first time. In look and feel, Pebbles was widely imitated on series like Highs In The Mid Sixties and Back From The Grave; the lo-grade pressings inadvertently galvanized new re-issue labels such as Bam Caruso, who issued the Craig's R&B freakout I Must Be Mad on their first Rubble album in pristine quality, eighteen months after Shaw had alerted the world to its primitive power. As he had with Who Put The Bomp, Greg Shaw started a whole underground industry. The vast record collection Shaw amassed has been split up since his death between friends and collectors. One beneficiary - though not of the index cards - was Geoffrey Weiss, a sagely A&R man at Hollywood Records. "I always thought his biggest achievement was convincing people that popular music that wasn't successful could be great, that the guy up the street could be John Lennon for at least two minutes and forty five seconds." On New Year's Eve 1989, I was in a pub in Manchester, talking pop with a bunch of friends. We reflected on two English singers who had illuminated the previous decade with great originality but no commercial success. Obvious star quality and wild eccentricity, it seemed, were no match for fickle fate. Fame would elude them. One was Pulp's Jarvis Cocker, the other was Lawrence from Felt. In a decade of fey make-up boys and the gated snare, Felt's approach to record making had seemed positively antique - sumptuous, sculptured guitar melodies housed in sleeves that owed more to Barnett Newman than Gary Numan. 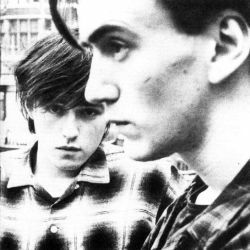 Their first album was called Crumbling The Antiseptic Beauty, a statement of intent in itself. Felt had a rare air of mystery. Gigs were infrequent, some were in virtual darkness. As the decade wore on, odd stories about Lawrence snuck out. Apparently he was obsessively clean. A friend once stayed in his Birmingham apartment and woke up at 3am to hear scratching noises under the bed. Expecting to see a mouse he was shocked to see Lawrence with a dustpan and brush. Pete Becker of fellow West Midlanders Eyeless In Gaza claimed that, when Lawrence took him to gigs, he always drove in second gear. He was deadpan, dead pale, and once claimed he would become the first person in the world to die of boredom. All my girlfriends were in love with him. Lawrence spent his teens in the Birmingham overspill of Water Orton. In 1980 he made a cacophonic DIY single as Felt called Index, a solo performance of clanging chords that sounded like it was recorded on a cassette at home - "after that I decided to form the greatest band in England." In spite of his ambitions, he couldn't tune or re-string his guitar. "I used to wait until I met someone who could do it for me. Sometimes it took ages." He'd often seen Maurice Deebank walk through Water Orton with a classical guitar on his way to have lessons, "so one day I got him round and he tuned my guitar in three seconds. I was in shock. Then he played a song, it was Mr Tambourine Man. I said 'I don't believe it, you're a genius'. We were only 16 or 17 and at that time I'd never seen anyone play that fast. It still went clunky when I went from one chord to another." Deebank became a part of Felt. "I thought, God, I could really go somewhere with this kid. Ride on his back to the top, that's how I saw it." Initially, there were constant arguments. "They were always about clothes and drinking. I told him he would have to change his entire wardrobe. Sometimes he'd get drunk and go off down motorways, disappear for two days. Or he'd go round this big mental hospital with this other kid, after they'd been in the pub. One of those dark Victorian things. When you were a kid you lived in fear that someone would escape and break into your bedroom. Deebank used to go there and walk around the wards at night for a dare. He'd come back from those trips and every time I'd say 'we're finished, you're not serious about this.'" What Lawrence wanted to create was something brand new - Crumbling The Antiseptic Beauty (released in January 1982) was both beautiful and very odd, with Lawrence's near-asthmatic, heavily reverbed voice and Deebank's crystal clear guitar lines underpinned by what sound like red Indian tribal drums. Lyrics were largely indecipherable. The songs - just the six - all clocked in around the five minute mark. "The music had to be something I'd never heard before. A new kind of music. Long guitar solos, like something that Hank Marvin would do but extended." The result was closer to Tyrannosaurus Rex playing Marquee Moon in a barn. Truly, it sounded - and still sounds - uniquely atmospheric. "I wanted the first album to be the best English album ever released, in the history of music. We wanted the kind of impact The Stone Roses had later - the way they were a group, the way they cared about what they wore." A critical hit - Sounds' 5 star review was enough to get me to buy it without hearing a note - Crumbling The Antiseptic Beauty instead created a small but dedicated core of Felt fans which would grow incrementally over the decade. In 1987, Lawrence found his image in a Smash Hits sticker collection. Suicidally, he chose to capitalise on this good fortune with an album of instrumentals called Let The Snakes Crinkle Their Heads To Death. "I remember taking the album artwork to Creation, really confidently, and Bobby Gillespie (of Primal Scream) was there. He said 'You're not really going to call it that are you?' I said yeah, it's a great title. He said 'Crinkle? What the hell's crinkle?' I realised I'd made the worst mistake. It was the worst title in the world." Now, as then, Lawrence is childlike in his enthusiasm, and meticulous in his planning, even if genuine stardom seems as far away as it did in 1982. "I thought we could invent a new form of music. I really believed we could. Now I know it's practically impossible, but that was the kind of ambition we had."